In theory, I don't believe in being boxed into any particular category as an artist. In reality, my art has a personality that probably reflects my own more than I realize. My style tends to be bright and whimsical. Looking over my body of work, I've realized that most of it is influenced by two themes: nature (animals, landscape) and celestial bodies (sun and moon). 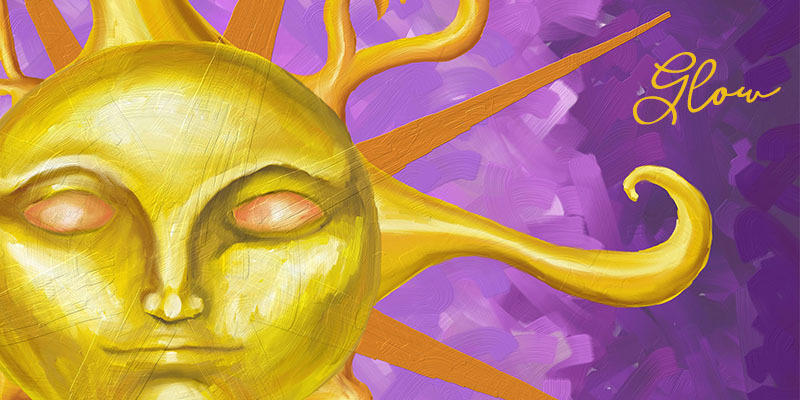 Here is an example of a piece focused on an image of a sun with a face. 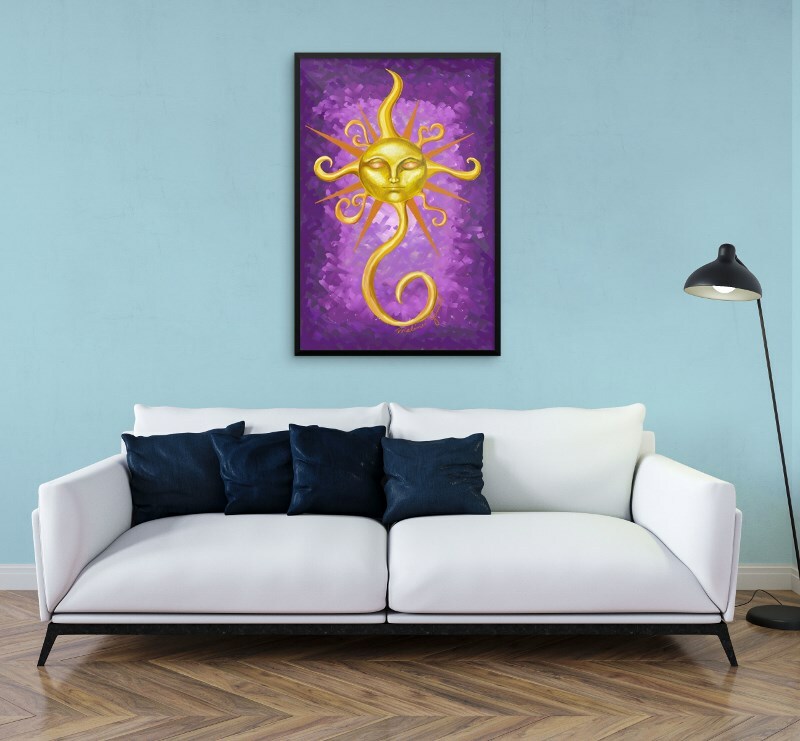 When I created it, I had planned to do several more "sunface" works in a similar style. It was originally called "Glow: Nascence " with the idea that it would be the birth of a series. Unfortunately, while I was working a full-time corporate job, I didn't have the time to expand on my artwork much. Now I just might revisit this project. 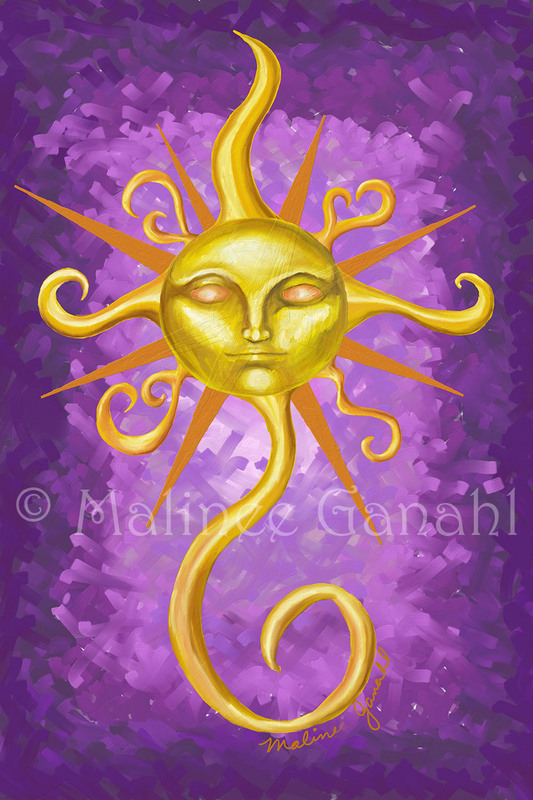 The sunface theme shows up in a number of my other pieces, including the sketchbook cover I painted to start my new year and artistic journey. Who doesn't like a little more sunshine in their life? Featured Art: Glow. Digital painting.